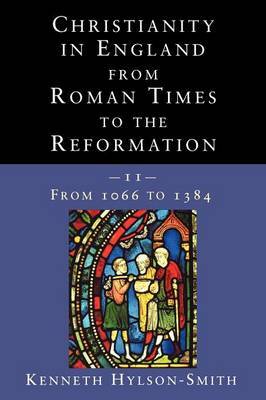 This is the second of three volumes on the history of Christianity in England from Roman times to the Reformation. It covers the period from the Norman Conquest to the death of John Wyclif. Although there has been much scholarly work in the last fifty years on Christianity in England during these crucial and most interesting centuries, this has mostly concentrated on specific and fairly circumscribed topics or quite narrow spans of time. There has been a paucity of works which attempt to describe and comment on the changing fortunes of Christianity in England in this mediaeval period as a whole; and none which takes account of recent scholarly work up to the end of the twentieth century. This is an opportune moment to fill a gap, and to provide a comprehensive and analytical overview of a pivotal age for the development of Christianity in England, which will be attractive and useful to students of history and theology, and also to clergy, ministers, and a much wider readership. KENNETH HYLSON-SMITH was until his recent retirement Bursar and Fellow of St Cross College, Oxford.